1 Week Ago (1:26 AM). Or do you only play the new games? I recently bought a copy of Pokémon Leaf Green and have been playing it occasionally in the last week. I tend to go back to Gen 3 and 4 quite often when I feel like playing a Pokémon game again, since they are my favourite Gens in the series. 1 Week Ago (11:14 AM). Once in a while I will play Pokemon Yellow, Emerald, Ruby, HeartGold, and Black. 1 Week Ago (2:48 PM). 1 Week Ago (3:53 AM). 1 Week Ago (6:12 AM). I still play older Pokemon when i had a chance, i played Black and White and i am considering play XY for 3DS Emulation, but the emulator for 3DS still in Beta Phase so i should wait for it. 1 Week Ago (8:46 AM). I've recently started a new playthrough of Black, I didn't realize how much I've missed it. I also found my old Fire Red cartridge so I may give that a go sometime in the near future. 1 Week Ago (11:19 AM). Yep, pretty often honestly. I still play Platinum from time to time, and I just finished playing through FRLG and BW! Not sure how likely I am to go back to anything before Gen 3, but anything after that I still play fairly regularly. 1 Week Ago (12:32 PM). I do! I adore replaying older games, it never gets any less fun regardless of how many times I do it. :3c Currently replaying White 2, and still have to continue off with my monocolor run in Ruby. 1 Week Ago (1:04 PM). Pokémon Blue comes out to play from time to time. It will always have a special place in my heart. 1 Week Ago (1:30 PM). absolutely. i love doing challenges and doing them in different generations is part of the fun! I still consistently play pokemon crystal, emerald, black, and pearl to this very day. I still bring my gameboy with me to school with my copy of crystal, and a ds lite with me to school every day, and I I find myself starting new games every week or two, because I complete them in that span of time (except emerald and crystal, because I literally NEVER get bored of those two, considering I had an old 400hr save on those two). 6 Days Ago (8:49 AM). 6 Days Ago (10:02 PM). 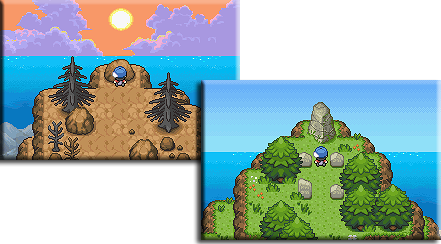 I go back to HeartGold every once and a while, and at some point I'd like to go through the 5th gen games again, because I don't think I appreciated how good they were the first time around. I go back to the gen 3 games every once and a while too, but find it hard go get back into anything earlier than that. 6 Days Ago (11:31 PM). 6 Days Ago (3:32 AM). I've replayed Black & White 2 a BUNCH of times. I love that gen.
6 Days Ago (4:22 AM). Edited 6 Days Ago by Aleimon Thimble. I may have overplayed Leaf Green a bit, but I still can't get enough of Emerald, Platinum, Black 2, and to a lesser extent Soul Silver. 3 Days Ago (3:53 AM). Edited 3 Days Ago by bobandbill. I have. I played HGSS a bunch and probably will go back to that. Played Crystal on the VC on 3DS as well. Think at some stage I will replay B2W2 with a grass monotype run and try out the hard mode, one way or another. 2 Days Ago (3:56 AM). I mean no offence to the Pokémon Games on the 3DS. But, everything beforehand, GB - DS are better in my opinion. So, I'm always going back!